Writing in a commentary in Clinical Microbiology and Infection, researchers say the problem is particularly acute for formulations needed to treat sick babies and children. They say doctors increasingly have to use alternative antibiotic treatments, which may have worse side-effects for patients, including encouraging the growth of drug-resistant bacteria -- one of the greatest threats to public health. Another major ransomware attack is currently spreading around the world. According to Motherboard, "a wide range of private businesses" were affected on this week, though it's unclear whether all the attacks are related. Reuters Tech News posted on Twitter that pharmaceutical company Merck's computer network was compromised as part of a "global hack." In addition to Merck, the global law firm DLA Piper, UK-based advertising and public relations firm WPP, and an unnamed Ukranian media company may be among the victims of this outbreak, Motherboard reports. Security researchers say a strain of ransomware called Petya or Petrwrap, which has similarities to WannaCry, is spreading like wildfire, Motherboard reports. According to an image posted on Twitter (which you can see above), the malware encrypts the files on a user's system then demands victims pay $300 worth of bitcoin to recover access to their files. There is no vaccine. No medication. And, no quick, reliable test for Zika virus … until now. Babies born with the virus often have lifelong, devastating birth defects. Testing for the virus currently involves trained medical staff drawing and mailing blood samples to a lab, a process that can take up to four weeks. Scientists have now developed a quick, simple test for Zika virus so easy to administer, you don't even need a doctor. The European Medicines Agency (EMA) organised an information meeting yesterday with members of its Management Board and heads of the National Competent Authorities (NCAs) of the EU/EEA Member States. The goal was to start discussing how the work related to the evaluation and monitoring of medicines will be shared between Member States in view of the United Kingdom’s (UK) withdrawal from the European Union. 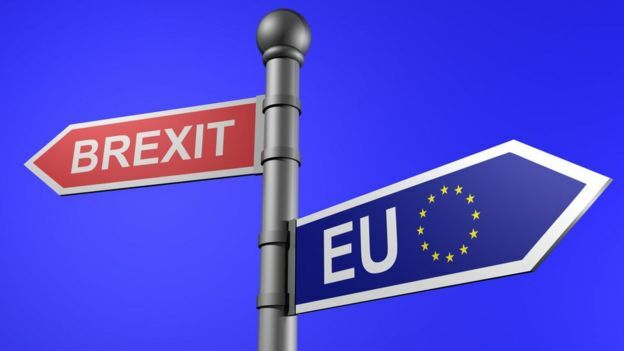 Although negotiations on the terms of the UK's departure have not yet officially commenced and one cannot prejudge their outcome, work will now start on the basis of the scenario that foresees that the UK will no longer participate in the work of EMA and the European medicines regulatory system as of 30 March 2019.
assuring an easy implementation and medium- and long-term sustainability. It is expected that all NCAs will contribute to EMA activities as per the capacity and capability of each authority, to ensure an optimised and robust allocation of the workload across the network. The envisaged working methodology will include a mapping of current and future capacity and expertise in the network and the identification of potential gaps. This could help the network to increase its capacity in selected areas, and would be supported with enhanced training opportunities. Based on the general principles, EMA, its scientific committees and working parties, together with the NCAs, will now assess the different options for workload distribution. A follow-up meeting will take place on 5 July 2017. Water is widely used in pharmaceutical manufacturing; either as a raw material, as an ingredient, or as a final product. Water is also used for rinsing equipment or for the preparation of disinfectants and detergents. These applications require water of pharmaceutical grade to be used. This is water that has been through a chemical purification step. Purification is undertaken so that the water is free of substances that might cause interaction with drug substances, as well as to obtain water of an appropriate microbiological standard. The purpose for publishing the inspection deficiency data is to allow industries to perform their own assessment against the deficiency findings as part of self-inspection and continuous improvement. The scaffolds were created from a polymer called polylactic acid (PLA), which is an FDA approved material that eventually biodegrades in the body. Next, researchers applied a silver ion-releasing coating to the scaffolds and "seeded" them with fat-derived adult stem cells that could be "triggered" to create bone cells. Researchers also seeded the scaffolds with MRSA so that they could observe whether silver ions could fight the bacteria. The scientists found that the silver ion-releasing scaffolds not only inhibited MRSA but also supported bone tissue formation. "Silver is well known for its antimicrobial properties and is highly toxic to a wide range of microorganisms such as MRSA," Loboa said. "Silver ions work mechanically – they actually disrupt the cellular machinery of MRSA. Our research now has shown that bone tissues still can be formed even in the presence of MRSA. We've created the materials needed for bone tissue engineering that will allow patients to use their own fat cells to create patient-specific bone and surgically implant those cells and tissues while diminishing, or potentially eliminating, the risk of MRSA infection." The EDQM has issued a document that summarises the ten most frequent questions raised after the initial evaluation of new applications for Certificates of suitability (CEP) for chemical purity. In the document, the top ten most frequent questions are listed together with expectations and recommendations on how to address the specific deficiencies, with reference to applicable guidelines. This document is intended to help applicants to improve the quality of their dossiers, in order to facilitate and speed up the granting of their CEPs. The information should be taken into account while building up a dossier, in combination with the EDQM Guideline “Content of the Dossier for Chemical Purity and Microbiological Quality (PA/PH/CEP 04 1)” available on the EDQM website. Absence or deficient discussion on the risk of having potential mutagenic impurities in the final substance. Absence or insufficient discussion on fate and carryover of related substances of starting materials (included) to the final substance. Non-acceptable starting materials, necessity to redefine them earlier in the process. Non-adequate or missing specifications (and analytical methods) for reagents and solvents (recovered and recycled included) used to manufacture the substance from the introduction of starting materials. Non-adequate or missing discussion on carryover of reagents and elemental impurities to the final substance. Non-adequate or poorly justified specifications in place to control the quality of isolated intermediate. Absence or insufficient discussion on fate and carryover of impurities from synthetic intermediates (included) to the final substance. Up to now, the production of Water for Injections (WFI) had been limited to distillation only. The revision of the monograph for Water for Injections (0169) allows for production of WFI by a purification process equivalent to distillation such as reverse osmosis, coupled with appropriate techniques. This brings the Ph. Eur. more closely in line with the US Pharmacopeia and the Japanese Pharmacopoeia which allow for production of WFI by distillation or a purification process proven being equal or superior to distillation, and by distillation or reverse osmosis followed by ultrafiltration. 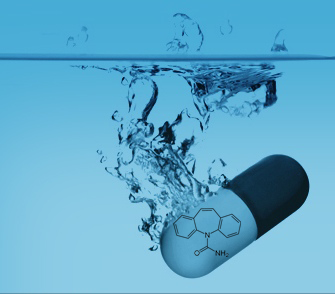 A new concept paper has been issued by the European Medicines Agency: “This concept paper addresses the need to update and revise the Note for Guidance on Quality of water for pharmaceutical use (CPMP/QWP/158/01 EMEA/CVMP/115/01). This guideline was originally adopted in May 2002 and came into operation on 1st June 2002. Since then, there have been ongoing discussions for many years as to whether there is a need to include non-distillation technologies as a method for production of water for injections (WFI) and eventually, during its 154th Session, the Ph. Eur. Commission adopted a revision of the monograph for Water for Injections (0169) allowing the use of non-distillation technologies for WFI production (the revised monograph will be published in the Ph. Eur. Supplement 9.1 and will become effective in April 2017). Does diarrhea serve a purpose? Does it actually help clear the bacteria causing a gastrointestinal infection, or is it merely a symptom of disease that should be prevented as much as possible? In a new study from Brigham and Women's Hospital, investigators explore the immune mechanism that drives diarrhea, concluding that it does play a critical role in pathogen clearance in the early stages of infection. A new study also uncovers a previously unrecognized role for interleukin-22, an immune system molecule, in the host's defense against infection. To investigate, researchers used a mouse model infected with Citrobacter rodentium, the mouse equivalent of an E. coli infection. Using this model, they saw an increase in the permeability of the intestinal barrier within just two days of infection -- well before inflammation and epithelial damage. In particular, they uncovered a critical role for interleukin-22 that in turn influences another molecule called claudin-2, previously known to be involved in causing diarrhea. They found that diarrhea resulting from the signaling of these two molecules helped promote pathogen clearance and limited disease severity. The scientific validity and rationale of the test for abnormal toxicity has been the subject of debate for some time in Europe. The test was originally developed for detecting external contaminants in biological products, but over time the introduction of Good Manufacturing Practices and the use of appropriate and stringent Quality Control measures have rendered their use less necessary. Current scientific evidence suggests that, in light of such debatable relevance, the omission of the test for abnormal toxicity would not compromise the safety of biological medicines. The European Pharmacopeia is considering the possible deletion from the European Pharmacopoeia. The European Pharmacopoeia Commission is seeking public feedback on its proposal to remove the requirements for a test for abnormal toxicity from 49 monographs of the European Pharmacopoeia (Ph. Eur.). This consultation will run until June 2017 for all users, and will be extended until August for National Pharmacopoeia Authorities. FDA warned drug manufacturers on May 22, 2017 about a series of product recalls involving Burkholderia cepacia complex (BCC) contamination. 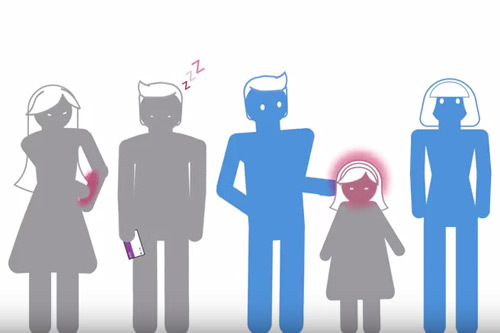 BCC is a water-borne pathogen that can be found in pharmaceutical water systems. According to FDA, it can be a challenge to detect BCC, and validated testing methods should take the “unique characteristics of different BCC strains” into consideration. The FDA advises drug manufacturers of non-sterile, water-based drug products that there have been recent product recalls due to Burkholderia cepacia complex (BCC or B. cepacia) contamination. (1, 2, 3) BCC and other water-borne opportunistic pathogens are among the contaminants that can be found in pharmaceutical water systems. BCC can survive or multiply in a variety of non-sterile and water-based products because it is resistant to certain preservatives and antimicrobial agents. (4, 5) Detecting BCC bacteria is also a challenge and requires validated testing methods that take into consideration the unique characteristics of different BCC strains. Use scientifically sound and appropriate acceptance criteria (e.g., USP Chapter <1111> Microbiological Examination of Non-sterile Products: Acceptance Criteria for Pharmaceutical Preparations and Substances for Pharmaceutical Use)8 and test procedures (e.g., USP <61>/<62> Microbiological Examination of Non-sterile Products: Microbial Enumeration Tests and Tests for Specified Microorganisms, respectively) to assure that drug product components (including pharmaceutical water) and finished drug products conform to appropriate quality standards (21 CFR 211.160(b)). Provide appropriate drug product specifications (tests, methods, and acceptance criteria) in applications submitted to the FDA (21 CFR 314.50(d)(1) for new drug applications, or 21 CFR 314.94(a)(9) for abbreviated new drug applications). As appropriate, additional laboratory tests may be needed to determine whether products are suitable for release. Ensure that the methods used to test finished drug products prior to release for distribution are appropriately validated, accurate, sensitive, specific and reproducible (21 CFR 211.165). Test in-process materials during the production process (e.g., at commencement or completion of significant phases, or after storage for long periods), using valid in-process specifications to assure, among other things, that the drug product will meet its final specification, including criteria for absence of microbial contamination, where appropriate (21 CFR 211.110). Investigate any failure to meet specifications, including other batches of the same drug product and other drug products that may have been associated with the specific failure or disrepancy(21 CFR 211.192), and implement appropriate corrective and follow-up actions to prevent recurrence. Hutchinson, J., W. Runge, M. Mulvey, G. Norris, M. Yettman, N. Valkova, R. Villemur, and F. Lapine. 2004. Burkholderia cepacia infections associated with intrinsically contaminated ultrasound Gel: The role of microbial degradation of parabens. Infec. Cont. Hosp. Epid., 25: 291-296. As noted in the preamble to the 1978 CGMP final rule, parts 210/211, “Microorganisms could be objectionable by virtue of their total numbers or their detrimental effect on the product or by their potential for causing illness in the persons ingesting them. A definition of the term is not practical in the regulations, however, because the objectionable nature of a microorganism may develop only in relation to the unique circumstances of a particular formulation, a particular ingredient, a particular method of manufacture, or the conditions found at a particular firm.” 43 FR 45053. Pharmaceutical medicines are expected to be efficacious and to perform according to the product licence or as directed by the medical practitioner. Medicines are also expected to be safe, and the basis of a safe medicine is one that has been manufactured consistently and with a review of potential manufacturing hazards completed. 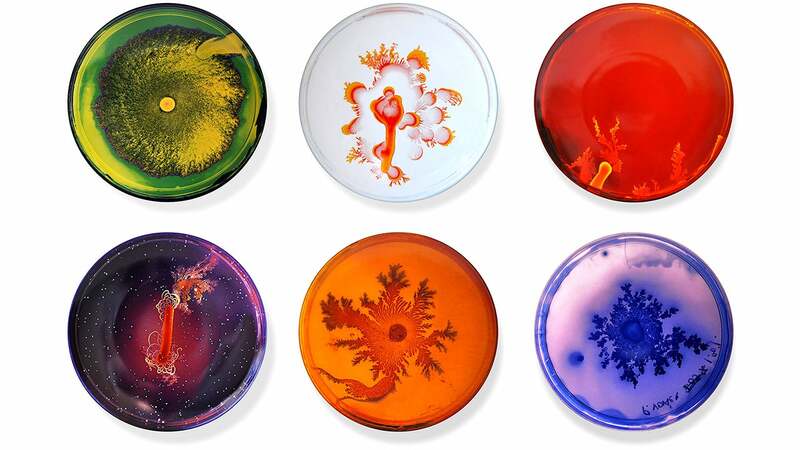 In relation to the issue of hazards, Tim Sandle has written a review for Microbioz India of the types of hazards common to pharmaceutical manufacturing (including microbial and chemical) and the risk mitigations that can be deployed to address them. This includes consideration of risk assessment tools and techniques. For further details, see Microbioz India. Continuous manufacturing is a process people adopted since the beginning of the industrial revolution — production for a product continues for months or years uninterrupted, creating an unbroken supply chain. It’s used in everything from oil refining and power generation to wastewater treatment and the creation of pig iron. Continuous manufacturing is one of the most efficient forms of production and it is finally making its way into the pharmaceutical industry. 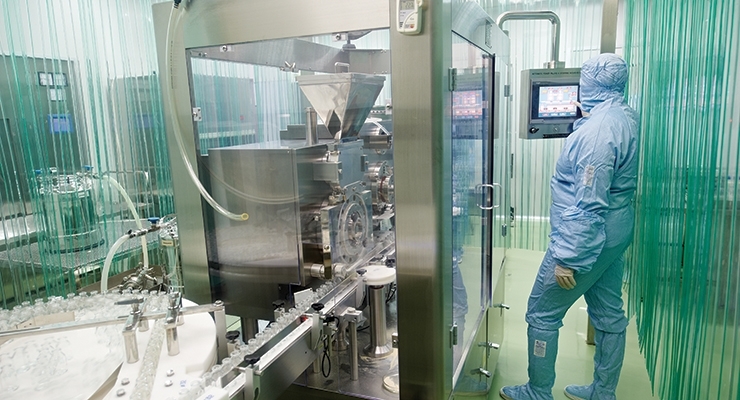 What benefits does continuous manufacturing provide to the pharmaceutical industry? Traditional manufacturing of pharmaceutical products is done in batches — a single batch of a medication is produced from start to finish. Then the completed batch ships and the process can start all over again from square one. While some types of pharmaceutical products might still require this, due to chemicals or components that cannot be easily adapted to continuous production styles, many products are fit for continuous production. This prevents the loss of time that comes with traditional batch production. If your product requires many different steps, each one has to be reset and prepared before the new batch can begin production. Reduced carbon footprint. Eliminating unnecessary steps, like resetting batch production, helps to reduce waste. Production optimization. In one case, production that normally took more than 200 days was streamlined down to a process that took only two days. Price reduction. The decrease in production times can be passed on to the consumer in the form of reduced drug costs. This improves patient access by making the drugs more affordable for low income or uninsured individuals. Higher and more uniform quality. Batch-produced products often vary in quality from batch to batch. Continuous production eliminates that variability by creating a constant uniform product. In many cases, there are no downsides to establishing a continuous manufacturing set up for the production of pharmaceuticals. The primary challenge when establishing a continuous manufacturing program in the pharmaceutical industry is that there is already an established manufacturing infrastructure in place. Changing from a batch-based manufacturing system could take both a considerable investment and result in a potential loss of revenue as your manufacturing would be offline during the switch. For a company that produces multiple different products, the best solution would be to convert the production of one product at a time to continuous manufacturing practices. There are a number of compounds that will not be able to be converted to continuous manufacturing practices due to the delicate nature of the components. Those will continue to lend themselves to batch manufacturing. Those looking to implement a continuous manufacturing strategy should look into the makeup of their individual products. Will they translate well to the style of production that allows the pharmaceuticals to be continuously manufactured or are they too delicate to translate well? If the former is the case, the next step is to formulate a plan that will allow you to switch to a continuous manufacturing program without compromising your supply chain. The most efficient and cost-effective way to do this is to build on the existing manufacturing infrastructure, but, if doing so compromises your ability to produce and supply your pharmaceutical products, it may be more efficient to build a new continuous manufacturing infrastructure from the ground up. More efficiently produced medications can be made less expensively, a savings that can be passed on to the consumer and make the medication more accessible to everyone. This can all be accomplished, theoretically, while still maintaining profit margins. Continuous manufacturing could easily change the shape of pharmaceutical manufacturing if it is adapted on a large scale. Right now, it’s harder for established manufacturers to change their ways, but a fully adapted continuous manufacture could be a boon, not just for the company crafting the pharmaceuticals, but for the consumer as well. A new study has found that people who take antibiotics over long time are more at risk of developing growths on the bowel that could be a precursor to cancer. The research forms part of a wider line of scientific inquiry about the effect that antibiotics and other antimicrobials have on the human digestive tract and that microorganisms that live within it. 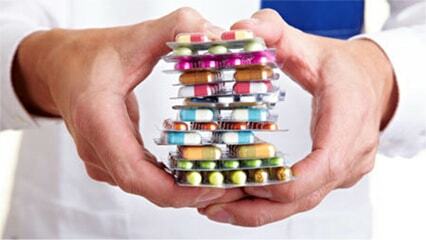 Antibiotics are designed to kill harmful bacteria but they are not precise and they kill beneficial bacteria as well. If the balance slips too far and too many beneficial bacteria are killed, this imbalance has been linked to adverse health events. The likelihood of this change to the body's microbiome is greater the longer the period of time that a course of medication is taken for. The term microbiome refers to the microorganisms living in a given ecological niche - in this case the human intestines. Nurses who had taken antibiotics for two months or more in their 40s and 50s were even more likely to be diagnosed with an adenoma decades later. This led the researchers to conclude: "Antibiotics fundamentally alter the gut microbiome, by curbing the diversity and number of bacteria, and reducing the resistance to hostile bugs." This led principal scientist Yin Cao of Harvard University to tell The Tribune: "The findings, if confirmed by other studies, suggest the potential need to limit the use of antibiotics and sources of inflammation that may drive tumor formation." While the new research, which examines cases of long-term antibiotic use with signs of growth, signals a potential link to cancer, what is being reported is bowel polyps. These are tiny growths on the lining of bowel. These growths are common and they affect around one fifth of the population. In many cases these growths do not cause any symptoms and do not become cancerous. However, some can, if untreated, become cancerous. The research is published in the journal Gut, in a paper titled "Long-term use of antibiotics and risk of colorectal adenoma." This is an observational study so no firm conclusions can be drawn about cause and effect. Readers should be aware that this article refers to one study and that further research is needed in this area. Any person on antibiotics should continue with their course and raise any concerns with a medical professional.